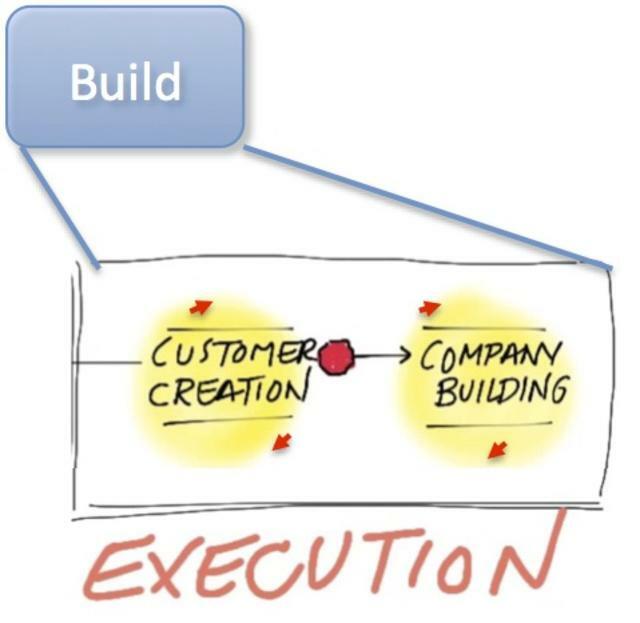 This article is by Steve Blank, entrepreneur, author and one of the founders of the Lean Startup movement. Recently, I got a call from Patrick, an ex-student I hadn’t heard from for 8 years. He's now the CEO of a company and wanted to talk about what he admitted was a “first world” problem. Over breakfast he got me up to date on his life since school (two non-CEO roles at startups), but he wanted to talk about his third startup —the one he and two other co-founders had most recently started. “We’re at 70 people, and we’ll do $40 million in revenue this year and should get to cash flow breakeven this quarter,” he said. It sounded like he was living the dream. I was trying to figure out why we were meeting. But then he told me all about the tough decisions, the pivots and firing his best friend, which he had to do to get to where he was. In short, he had been through heck and back. I explained to Patrick that startups go through a series of steps before they become a large company, and that he was smack in the middle of two big ones. 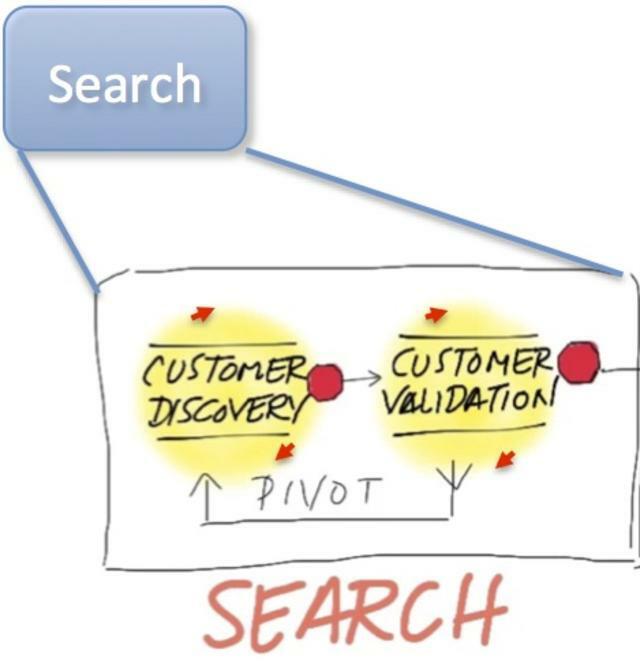 In this first step, the goal of a startup is to search for a repeatable and scalable business model. It typically takes multiple iterations and pivots to find product-market fit —the match between what you’re building and who will buy it. You’ve found a sales channel that matches how the customer wants to buy, and the costs of using that channel are understood. Sales (and/or customer acquisition in a multi-sided market) becomes achievable with a sales force (or network effect or virality) without heroic efforts from the founders. Customer acquisition and activation are understood and Customer Acquisition Cost (CAC) and Life Time Value (LTV) can be estimated for the next 18 months. •Generate users at a rate that can be monetized. This Build phase typically begin with around 40 employees and will last to at least 175 and in some cases up to 700 employees. Venture-backed startups will often take a Series C or D or later rounds during this phase. In the Grow phase, the company has achieved liquidity (an IPO, or has been bought or merged with a larger company for an exit) and is growing through repeatable processes. A full suite of Key Performance Indicators (KPIs), processes and procedures are in place to maintain momentum. I pointed out to Patrick that he was in the middle of the transition fromSearchtoBuild, andI suggested that he was lucky to be encountering this problem as a 21st century startup founder rather than a decade or two ago. In the past, when venture-funded startups told their investors they’d found a profitable business model, the first thing a VC would do is start looking for an “operating exec” —usually an MBA who would act as the designated “adult” and take over the transition from Search to Build. The belief then was that most founders couldn’t acquire the necessary skills rapidly enough to steer the company through this phase. The good news today is that VC firms are beginning to appreciate the value of keeping the founder in place. I realized Patrick just hit the nail on the head. As chaotic as theSearchphase is at a startup, you're never alone. There is tons of advice and many resources. But in the past, theBuildphase was treated like a smaller version of a large company. Operating execs hired by investors used the tools they learned in business school or at larger corporations. Read the sparse but available literature that does exist about this phase. For example, The Four Steps to Epiphany Chapter 6 Company Building, Ben Horowitz’s The Hard Thing About Hard Things (a series of essays) or Geoff Moore’s classic Crossing the Chasm. If he already had an advisory board (formal and/or informal), add CEOs who have been through this phase. If he didn't have an advisory board, start one. Get a one-on-one CEO coach or join a CEO peer group. And potentially the most difficult, think about upgrading his board by transitioning out board members whose expertise was solely rooted in theSearch phase.